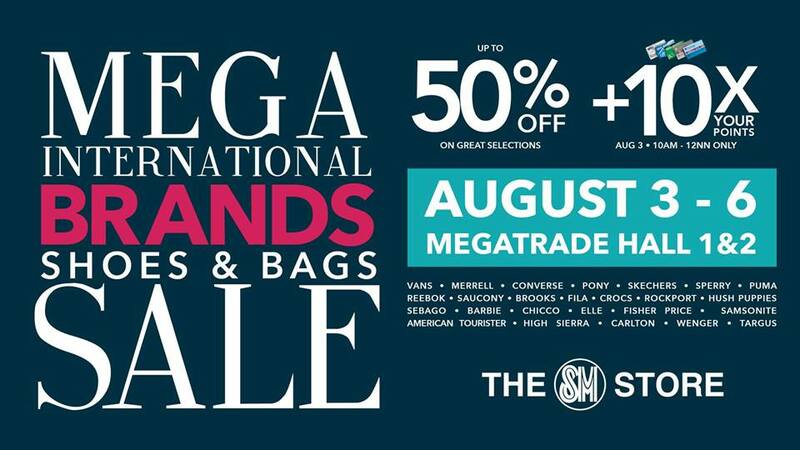 Mega International Brands Shoes and Bags Sale from August 3-6! Mega International Brands Shoes and Bags Sale at SM Megamall from August 3-6! Sashay with style and head to Mega International Brands Shoes and Bags Sale at SM Megamall! After SMX Convention Center, the much-awaited spectacular display of high-end and affordable shoes and bags is back in SM Megamall. Do not miss the Mega International Brands Shoes and Bags Sale happening from August 3 to 6, 2017 at Megatrade Halls 1 & 2. Score exclusive deals from a wide range of shoes, bags and accessories that caters to different styles and outfits. Enjoy up to 50% OFF on your favorite international shoes, bags and luggage brands. Check out their official Facebook Page for more surprises.